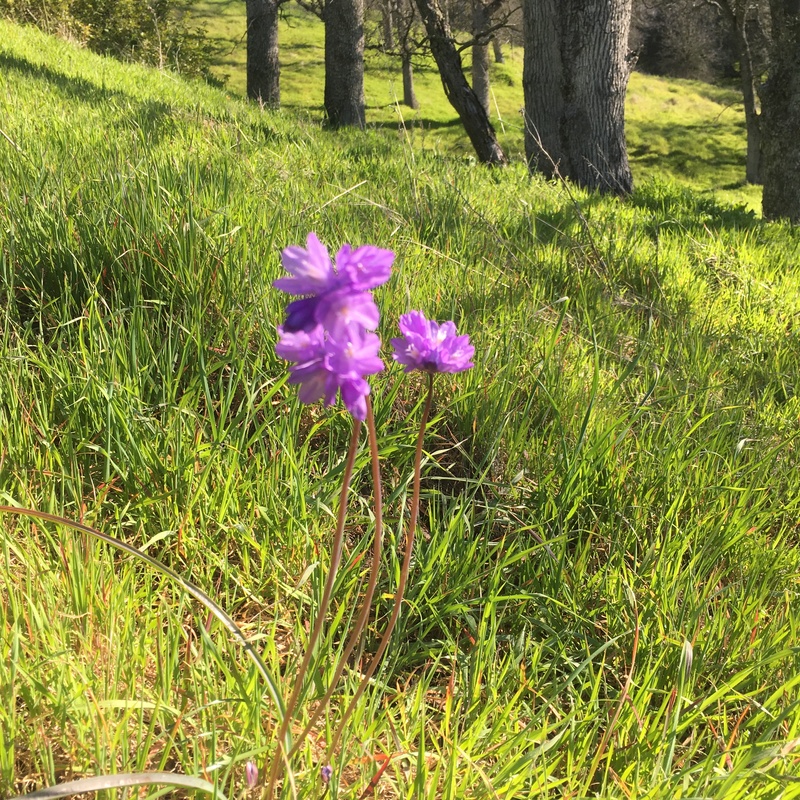 Don’t miss out on this great class with three recipes and the opportunity to see all the wild flowers. 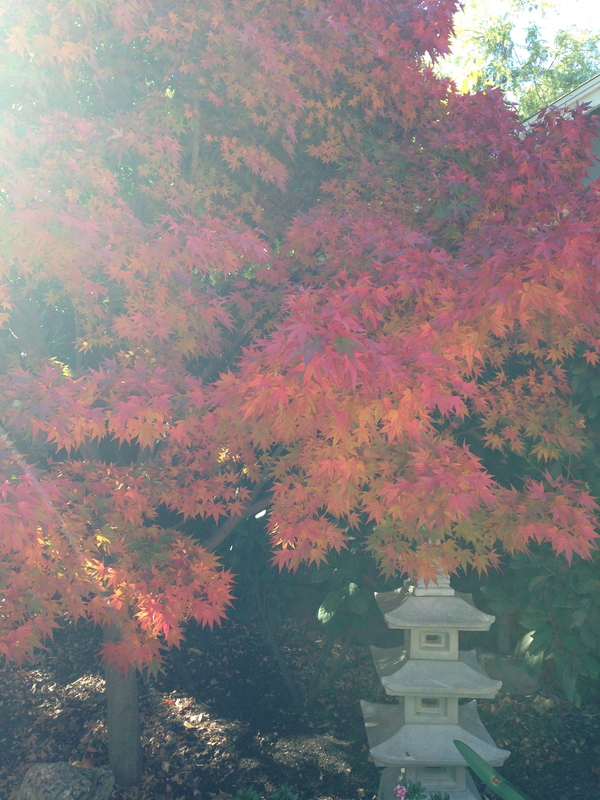 It is a beautiful time of year here in the Gold Country. Mango Papaya Rum Chutney is delightful in a sandwich, or on a grilled pork chop, or on grilled fish. You can’t go wrong with this jar. Sweet and sticky Apricot Marmalade is wonderful on a biscuit or on a scone. You can mix it with some Marscapone cheese and whipped cream to fill crepes. This recipe is made with dried apricots so you can make it year round. The dried apricots give it an intense apricot flavor. 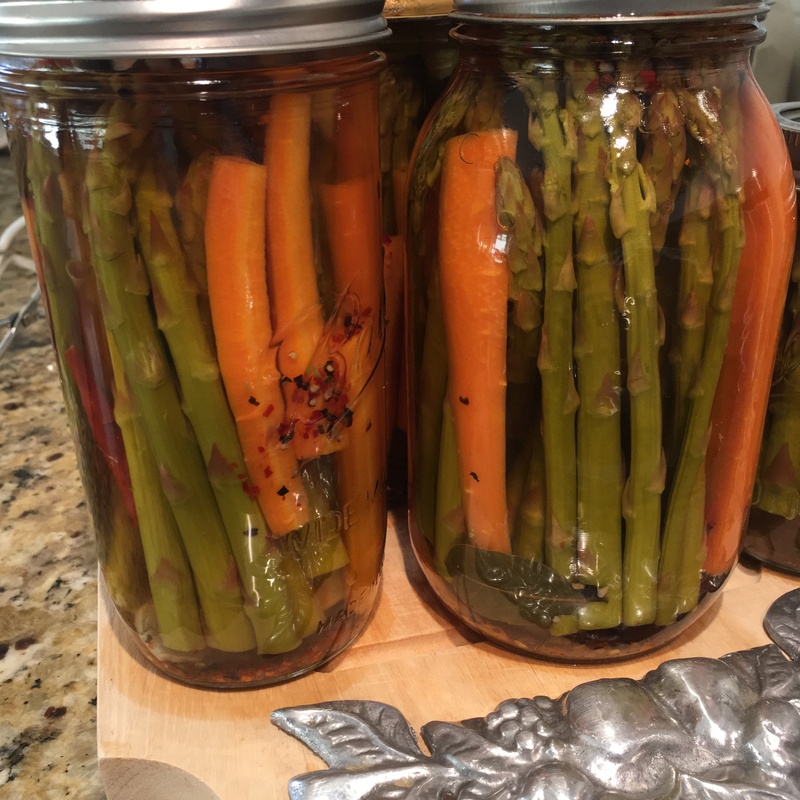 Mixed Pickled Asparagus and Carrots. This jar is great to have around as you can use a snack, in salads, and they make great stir sticks for your Bloody Mary. For our sit down meal we will be having grilled pork chops, mixed greens salad and crepes. What a wonderful summer All In A Jar had with the students that attended classes. Thank you! We had access to a lot of beautiful fruits and vegetables to play with in class. Some people think it is time to put away the canning supplies. But wait… no need to; we have more canning to do. What about all those amazing pears? You can make pears with toasted almonds and almond liqueur, pear ginger jam, hearty chutney or pear halves in simple syrup. 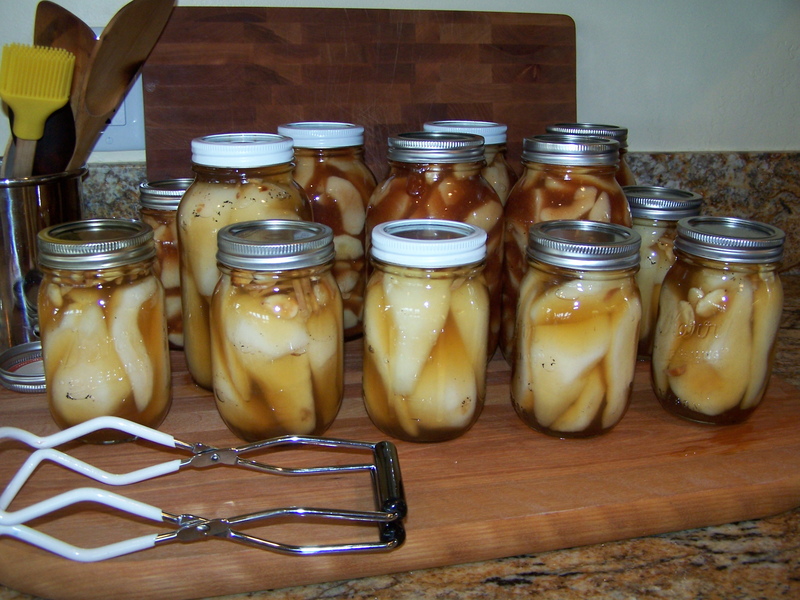 So many varieties of apples out there too, what about a spicy apple butter, apple pie filling, applesauce or apple jelly. For those oranges, how about marmalade or sparkling wine orange jelly or orange vanilla crud. Some other great ideas, persimmon jam or butter, pickled brussels sprouts, cauliflower, onions, carrots and beets. Fall and winter are great times to can, added bonus of warming your home up too. Especially when using your pressure canner because it has a long processing cook-time. With the pressure canner you can be making soups, stews, beans, tuna, and much more. This is a great time to make some homemade sausage for the freezer; cooler days work best when working with meat. Don’t let the cold weather or rain stop you from canning! Homemade canned goods make the best gifts. 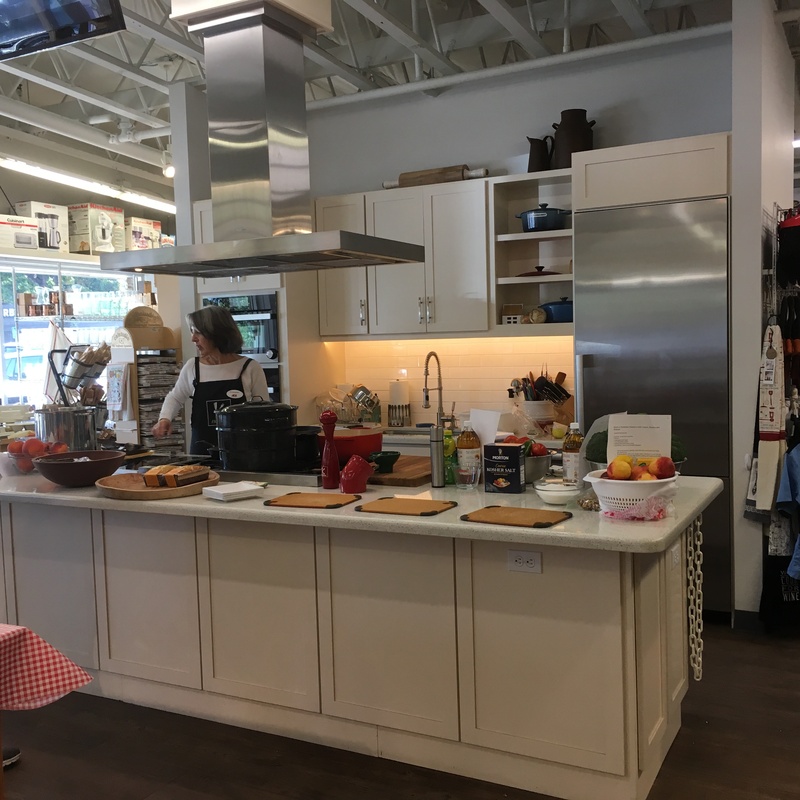 So get in the kitchen and start canning! The holidays are coming. November 29 Saturday is support local small businesses. Please remember our local small businesses when shopping for gifts this holiday season. All In A Jar offers Gift Certificates. All In A Jar will be adding to the class calendar in the next few days. Check out what will be offered in January and February. Happy Canning!